Home / How to / Intense SEO / Learn SEO / Intense SEO Contest By Ethical Hackers Club. Intense SEO Contest By Ethical Hackers Club. SEO has been an intense topic of search since 2016. But what about SEO has it actually been that intense too. Surely that is an important question every aspiring blogger has today. Ethical Hackers Club is involved in making Cyber world comfortable for all so how could we leave such a great topic to help new bloggers and website owners. We are on the mission to make all services free for users and we believe it's clearly possible by small efforts taken by each one using the internet. With the mission to make SEO more user-friendly, we have started an Intense Guide to SEO. 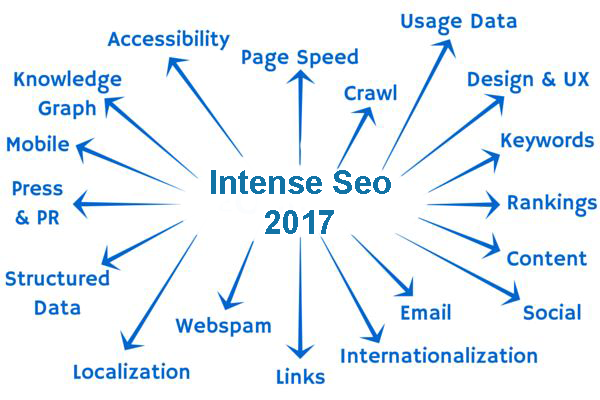 Our Intense SEO Guide will be the place to learn completely in depth knowledge to be SEO Master in 2017. With the mission to make Sites and Blogs in India top ranking sites and blog, Ethical Hackers Club is forward for free Website and Blog Promotion programs. Everything will be listed by our others one by one. You can follow us by subscribing to our newsletters. Following our Facebook & Twitter pages. There have been numerous ways to get high ranking all require a huge amount in $'s which go very high for Indian bloggers making them backward in the SEO Rankings. Ethical Hackers Club knows it very well and so is taking a stand to bring up Indian startups with high rankings on Search Engines. Hereafter there will be numerous ways for authors and bloggers to get their site top listed in SEO By Different SEO Programs by Ethical Hackers Club. The Intense Guide to SEO will be a complete tutorial for beginners and for masters of SEOs and Site owners. Ethical Hackers Club will be your Final Destination For Free SEO Rankings. Ethical Hackers Club declares a free Contest for bloggers to participate in with their blog or websites. Bloggers are free to submit their site for the open contest of Indian Blogging simply by submitting a for to our team. The blogs will be tested and awarded the best India blog of the year title in Ethical Hackers Club's Anual Award Function held on 31st- December of each year. The blog listed in the contest with Ethical Hackers Club get an opportunity to gain high ranking. Rules for Blogs to be part of Ethical Hackers Club's Contest are as followed. Blogs should be listed with Ethical Hackers Club's free or Paid Listing in their Web Directory. The presence of Blog will be monitored each day by our Software. Blogs will be monitored for Plagiarism. Contents of your blog Should pass the content criteria for an opportunity to win best blog title. Contents of the blog shouldn't be related to hate speech, shouldn't be against any community views, Shouldn't harm thoughts of any community. Blogs with racist Contents will be clearly blocked from our directory and will never get the chance to be listed again. Steps to follow to be the part of our Contest. First and most important get your site listed in our directory. Place our plagiarism checker below each post of your site to let our systems check your contents. Place our directory scripts somewhere at the home page of your site so that our software can refer your site to our directory. Note: - Removing Scripts will end up removing your sites from our listing as per default settings from of our bots. Removing Plagiarism checker Scripts will not allow our bots to scan our contents for plagiarism which will end up your opportunity to win the contest. Winners of Contest Get a Permanent place in our top 10 directories. Winners Get Recognized by Media professionals and sponsors for writing contents. Win Best Site of the year listing with our media partners, in the press & on our site all for free. Make your site the part of Ethical Hackers Club and Increase your traffic by registering below.